Libre Office is an open source software version. Some of its features are simliar to those found in Microsoft Office. It can downloaded free from the Libre Office website. There are a number of other open source software packages that can be used in classrooms. This webpage has a list of some them (only some may be useful for an education context) – List of free and open-source software packages. 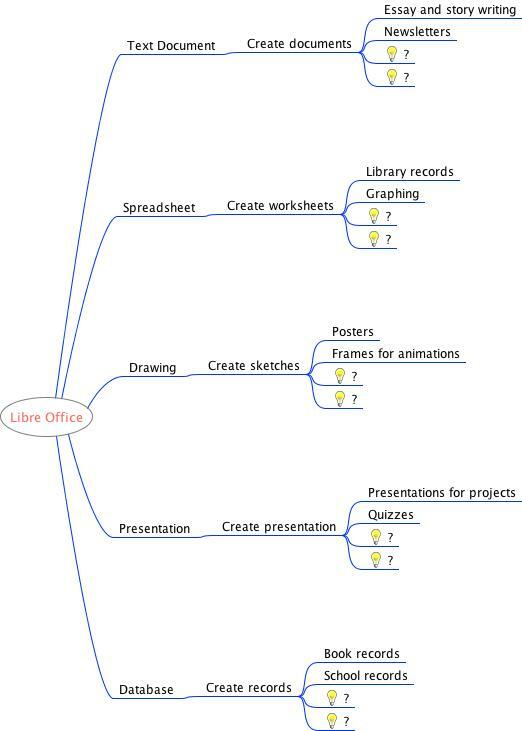 The following mindmap (created using Freemind – an open source software) lists the applications, gives examples of what can be created using each application, and then highlights some possible users for schools. Can you think of other ways in which these applications can be used? You can download the mindmap and explore other possibilities of these applications.